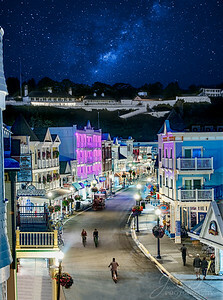 Mackinac island at night, Main Street in this rare image with milkyway. 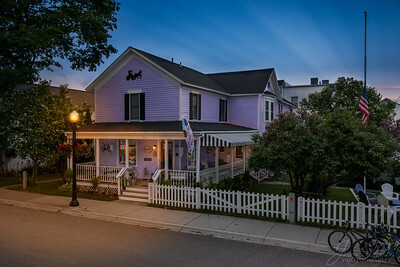 This is the image used on the 2017 cover of "Inside Mackinac", the local tourism magazine. 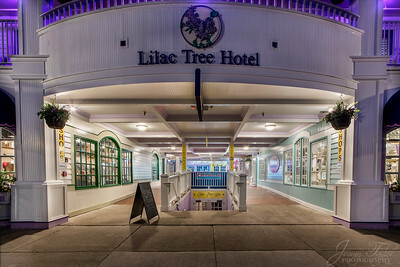 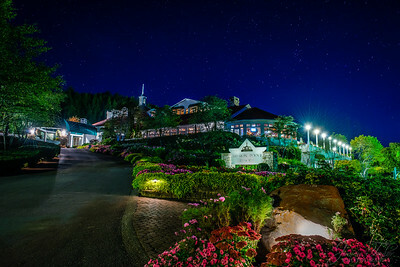 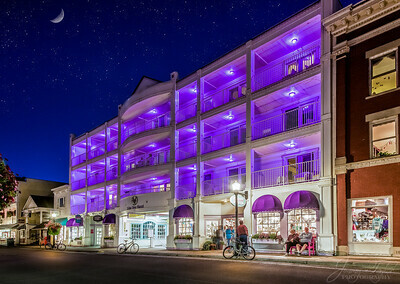 The Lilac Tree Hotel at Night - my newest image. 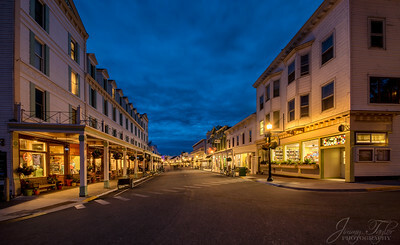 Peacefiull empty streets. 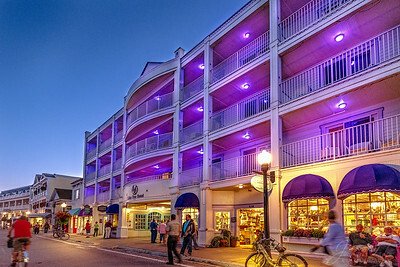 I like this color combination for my night photography for some strange reason: Blues-Oranges & Purple. 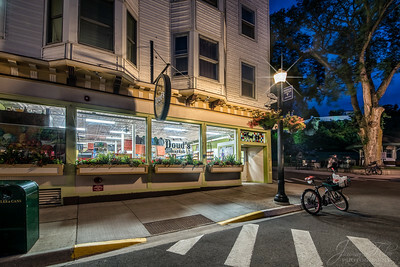 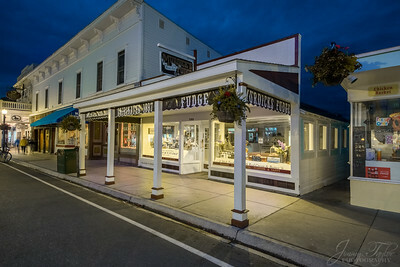 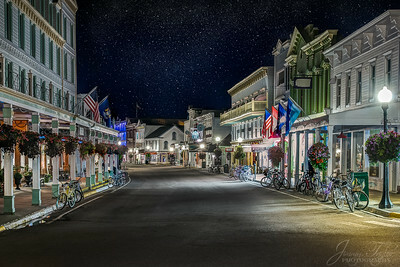 DOUD'S MARKET at night, looks calm & quiet this time at night, Main Street Mackinac Island. 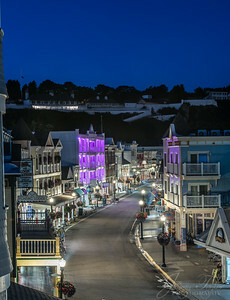 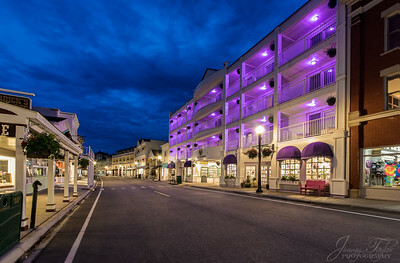 Mackinac island at night, this view of Main Street without people. 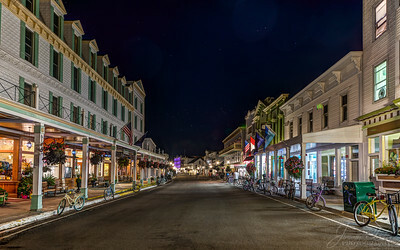 Main Street at night Mackinac Island. 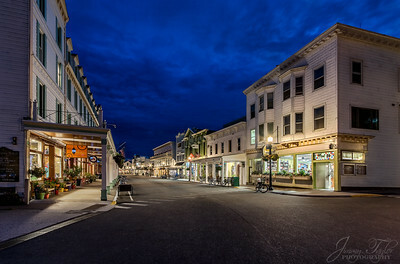 Strange to see empty streets late at night, but so nice. 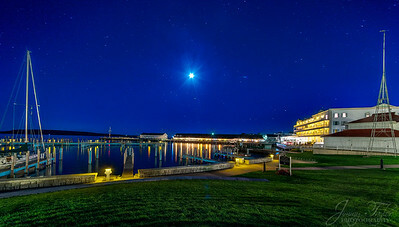 Mackinac Island at Night - Mirror smooth water reflection. 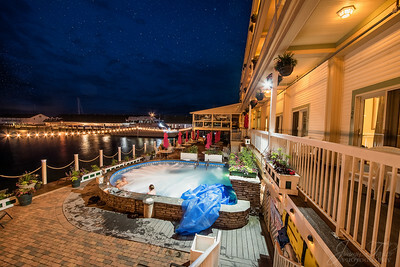 This is another image of the Pink Pony & Chippewa Hotel Waterfront. 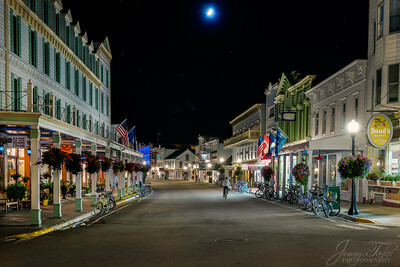 Mackinac Island at Night - This is the view through my camera of the Pink Pony & Chippewa Hotel Waterfront. 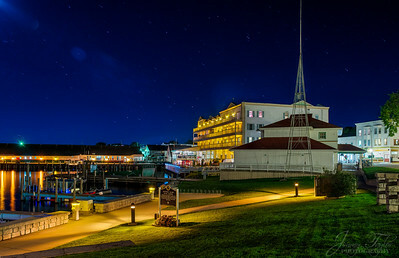 Pink Pony & Chippewa Hotel Waterfront at night. 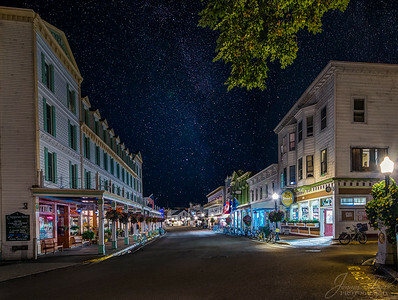 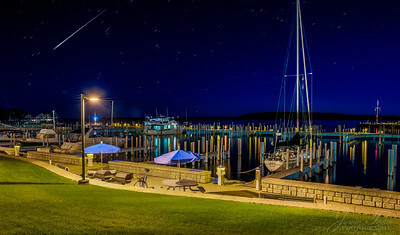 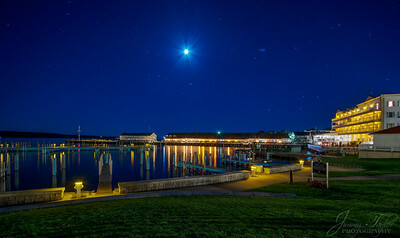 Mackinac island at night, this view of Main Street and the stars without people in this long exposure. 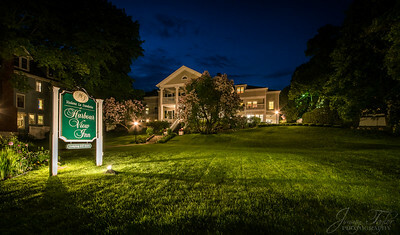 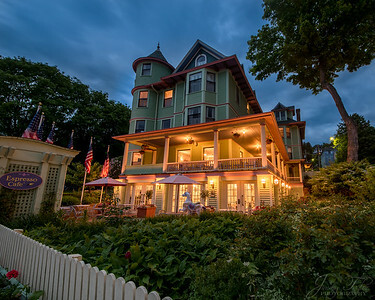 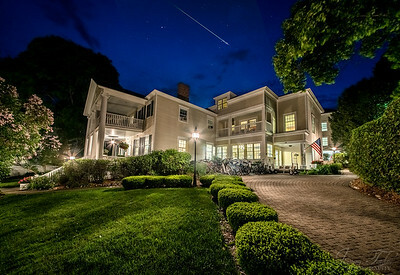 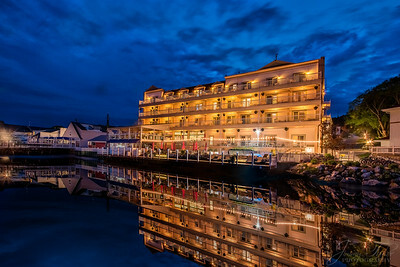 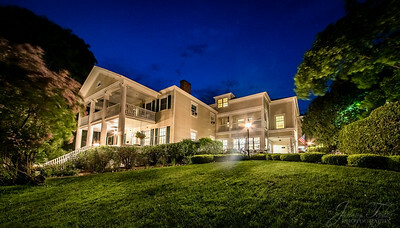 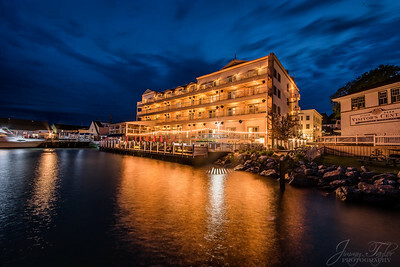 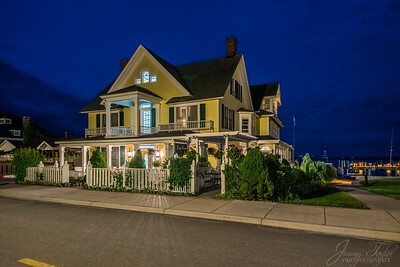 Harbour View Inn - evening image, Mackinac Island, Home for the past week..